The beginning of this wedding day was hot. Like really hot. 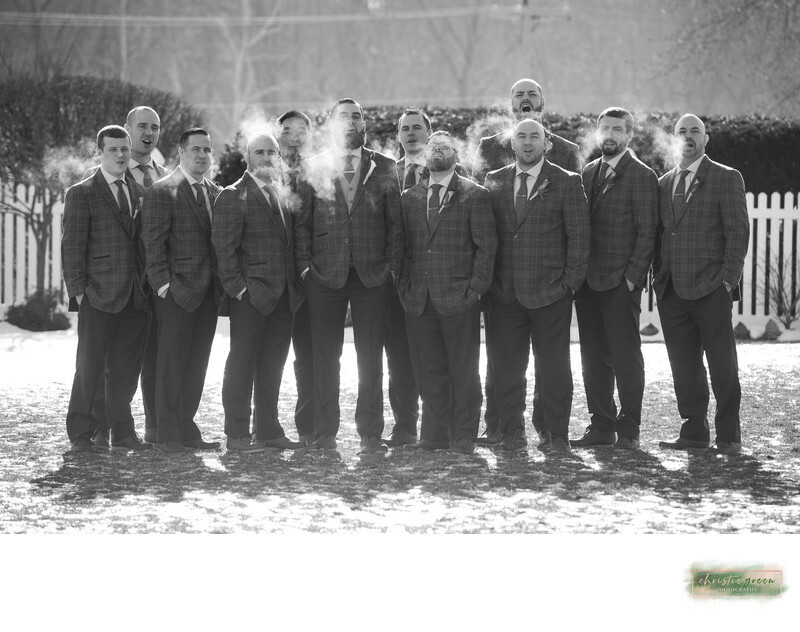 Frank and his groomsmen all had custom hankies. They came in handy. Thankfully, we were able to go to the little area across the street from the venue for photos. This spot allowed us to be mostly in the shade, but certainly didn't stop the groomsmen dressed in their long sleeves from sweating. The funniest part about this moment, is that the last time I had been at this venue, The Barn on Bridge in Collegeville, Pennsylvania, it was about 12 degrees. 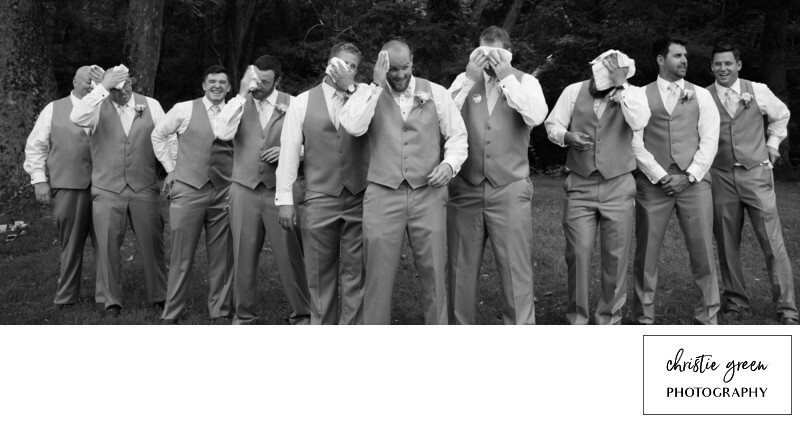 I have a photo of the groom and groomsmen from that day all showing their breath. I love the juxtaposition of these two photos.